If convicted, the punishment for a first degree felony according to the Texas penal code is a, “Jail term of no less than five years, and no more than 99.” According to Sullo & Sullo LLP, in Texas, other crimes that carry a first degree felony charge are, aggravated sexual assault, solicitation of capital murder, and trafficking of children under the age of fourteen. It is unclear whether anyone was harmed by eating the brownies. However, the Huffington Post reports that are no known instances of a marijuana related death. Additionally, a smoker would have to consume 20,000 to 40,000 times the amount of THC found in a joint in order to risk death. KHON 2 reports the brownies were made with hash oil, a concentrated form of cannabis that can be used for cooking. 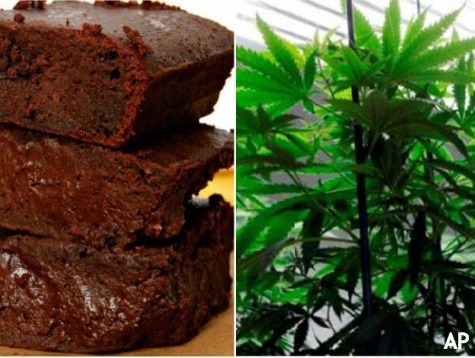 While the alleged amount of THC used to make the brownies was well within a misdemeanor level, the state allows prosecution to count the weight of all the other ingredients including sugar, butter, and cocoa to determine the weight of the drug. By this logic, beer could be considered 100% alcoholic if hops and barley were counted as alcohol in the measurement.